Fans were somewhat apprehensive that Ben Affleck of all people would be playing Batman in Zack Snyder’s Batman vs. Superman (and also Justice League, apparently). Once some fans pointed out that these complaints mirrored the drama surrounding Heath Ledger’s casting as the Joker in The Dark Knight, which turned out to be a great call, everyone calmed down and went into “wait and see” mode. Now we have the first picture, courtesy of Zack Snyder himself. 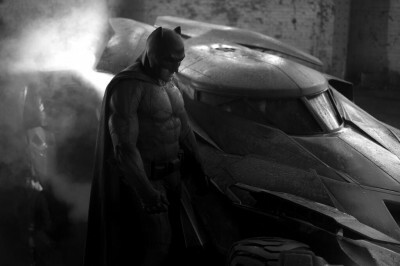 It’s not a great look at Affleck, and it’s in black-and-white, but it can’t be denied that the suit looks great. It looks like this suit is riffing on the costume used in Frank Miller’s The Dark Knight Returns, though Affleck isn’t sporting the old-man heft of that version. 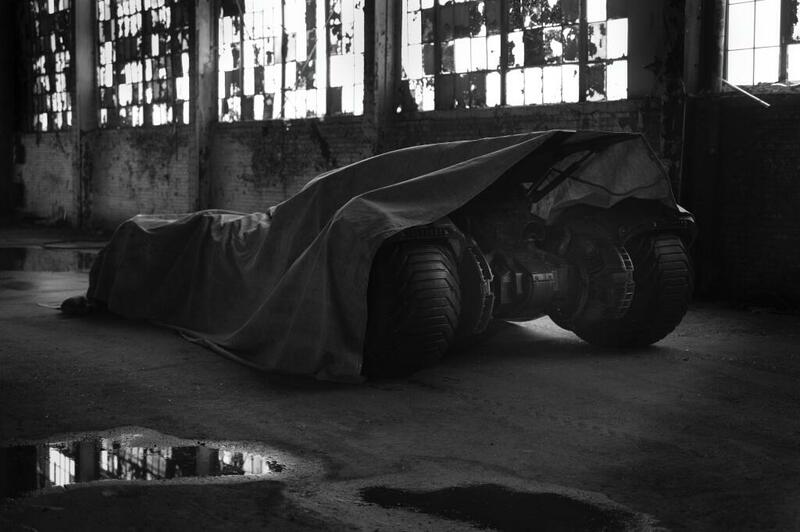 For extra points, the Batmobile also looks like an interesting mix between the utilitarian Tumbler of the previous trilogy and the stylized Batmobile of the original films. Overall, it looks like Batman and doesn’t look too silly, so I think we have a winner, at least for now. Of course, I can’t just look at the good in this, so allow me to get negative. If the suit is referencing The Dark Knight Returns and WB announced the new film with quotes from The Dark Knight Returns, then I fear they’re going to rely too heavily on the classic work when the context is completely different in this film. Those lines were spoken by an old Batman fighting against a long-time friend, while this Batman has never met Superman before. Affleck’s Batman is rumored to be older, so that fits, but he supposedly still hasn’t met Superman before. There’s simply no way to get across that emotional resonance if the plan is to dredge up nostalgia for The Dark Knight Rises. And what, do these new acquaintances just patch things up that quickly in time for Justice League? To give an example of why relying on iconic nostalgia will often fail when presented in a new context, look no further than Star Trek into Darkness. (Spoilers ahead, naturally.) We all knew Benedict Cumberbatch was playing Khan, despite J.J. Abrams’ stupid claims to the contrary, so of course Kirk’s “KHAN!” scream was in the back of all our minds. In the film’s final act, there’s a reversal of the events from The Wrath of Khan, resulting in Kirk’s death while Spock looks on instead of the reverse. With the way they’re written in the movies and the relative youth of the actors/characters, it’s already hard enough to believe that Kirk and Spock are good, close friends. But Spock’s “KHAN!” scream is even harder to believe because even if he was that tight, I just can’t see Spock, especially that Spock, showing that kind of emotion. True, the new Spock is slightly more inclined to emotion (even if it’s mainly irritation and anger), but it just seems out of character. Why? Because the writers shoehorned in some nostalgia to try and make the scene more emotionally involving. It’s very possible that the script for Batman vs. Superman could fall into the same trap while reusing material from The Dark Knight Returns, especially with the sub-standard David Goyer writing the script. Anyway, hopefully this doesn’t happen, because I’m down with Affleck in that costume. Now we just need to see how he portrays the Bat. Here’s an extra shot of the Batmobile covered in a tarp from the day before.